← New movie “Big Miracle”, based on a true story! Go see it! Beauty products has become big part of my life. I wash my face with a special face wash and then use cream. I brush my teeth with tooth paste, sometimes use mouth rinse. I use shampoo and conditioner, deodorant and perfume, hairspray, heat protection, skin foundation, powder, bronzer, lipstick, eyeshadows…believe me list goes on. I can’t even imagine what I would do without all these things. Strangely, I can’t even pronounce the ingredients of these products. I trust that it’s good for me, after all why would anybody put lead in lipstick, right? It turns out I was naive. After watching “Story Of Cosmetics”, I started heavy research on what I should watch out for and my choices at the store became very limited. However, I’ve noticed since then (about 2 years ago) greener and safer alternatives started appear on the shelves! Out of 100 regular shampoo I could find 3-4 organic ones. Not bad at all! I was able to buy organic make up for my face. That’s very important because whatever you put on your skin is being absorbed into your body. It became clear to me why I used to get bad acne after wearing make up. All those chemicals, artificial fragrances and colors…they never mentioned it on their Photoshoped commercial with unreal looking women. Now the commercials make me laugh a lot. Girls who look 20 are talking about how this cream made her wrinkles go away. Hilarious! Protect yourself and loved ones. Support organic industry and learn ingredients you should avoid at all costs. To learn about products click here. As a result I started making my own cream at home and I will tell you more about it in a separate post. For now watch this video on DUI shampoo and conditioner. 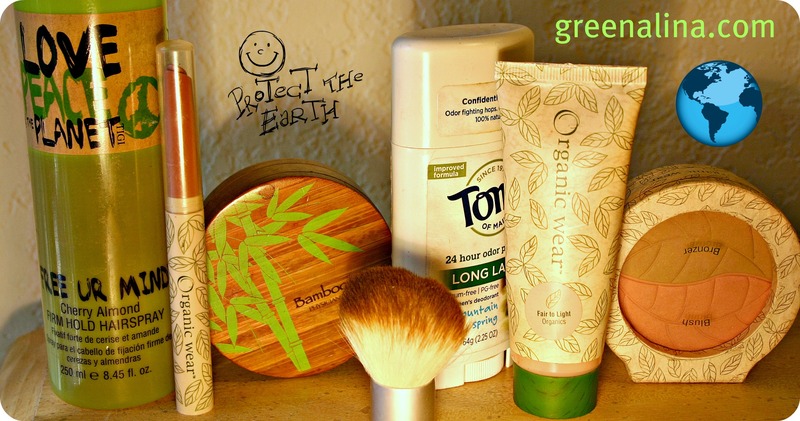 This entry was posted in beauty producets, Environment, going green, make up, organic, skin, Uncategorized and tagged eco, eco-friendly, environment, going green, green, make up, organic, save the planet. Bookmark the permalink. 1 Response to The Truth About Beauty Products.